Moving house is hard work. The planning, preparation and packing is stressful and it doesn’t end there. Before you can live comfortably in your new home there are still a number of important tasks to complete. This checklist will help you cover of the most pressing tasks before you move into your new home. Make sure you leave plenty of time for this process. You may want to visit them all in person and don’t be afraid to ask for reviews from your new neighbours. This is also a great opportunity to make friends in your new community. You never know when you will need a doctor or a dentist, so it’s best to register with one before moving day. If you have preschool aged children, start looking into local preschools and/or childcare options. Electricity, Water and Broadband are all essential services and it’s best to ensure you have them set up prior to moving day. In most cases, your new home will need freshening up before you move in. 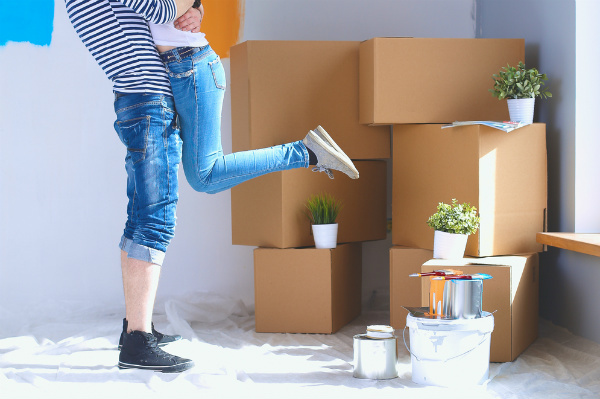 Even if the property is brand new, all the activity that comes with moving can create a fair bit of mess. Clean thoroughly before all your furniture and boxes arrive so you can start setting up straight away. Washing machines, refrigerators, dryers and microwaves all need to be ready for action so hook these up as soon as you can. It’s always a good idea to pack a bag of essentials for the day and night of the move. It’s also helpful to pack essential items (children’s toys, bedding, towels and electronics for example) in clearly labelled boxes so you canun pack these first. Trying to find a reliable, affordable removalist? Lynns Removals and Storage is here to help, with our trusted moving and storage service tailored to meet your needs. Contact us now! There are 0 comment. on "Things To Do Before Moving Into New House"